Socialize with friends, eat delicious food, and support the important work of Tampa Jewish Family Services! See all our wonderful sponsors! 6-8 PM / Live Auction, Live Music, Local Food, Open Bar, Free Babysitting! Please complete this short form to purchase tickets to Trifecta 2019: Music, Bids & Bites. 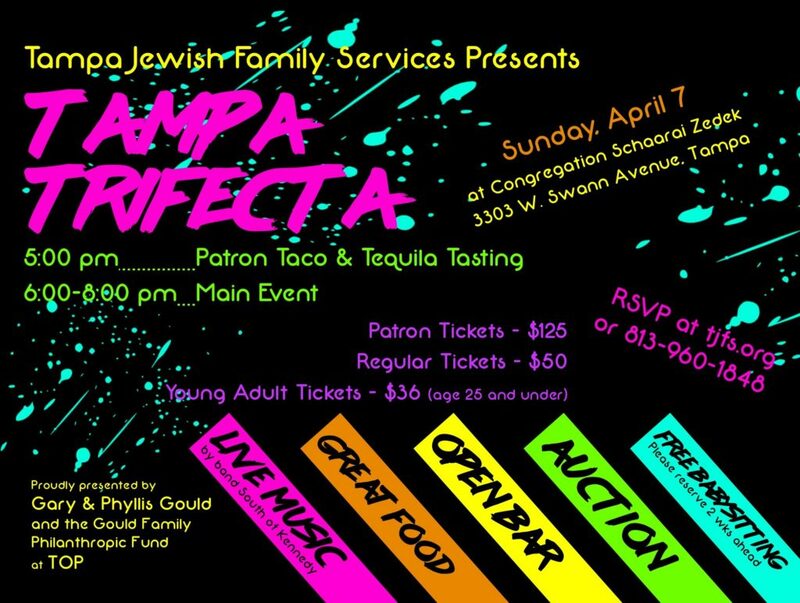 Tickets and event proceeds allow Tampa Jewish Family Services to continue to serve our community. Please select the type and quantity of tickets you would like to purchase for Trifecta 2019. I Want Free Babysitting for Trifecta!